Discover how to learn Portuguese (European) with the Pimsleur Method. 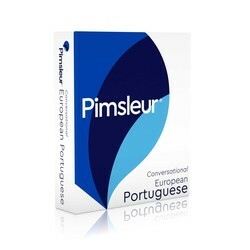 Start Speaking Portuguese (European) using the Pimsleur App! Portuguese is spoken by about 170 million people, mainly in Portugal and the Portuguese Atlantic islands, Brazil, and Portugal's former overseas provinces in Africa and Asia. Pimsleur's European Portuguese teaches the Lisbon dialect of Portugal. 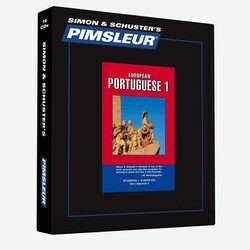 Learn European Portuguese today with Pimsleur. Lessons 1-16 from the Portuguese (European) Level 1 program on 8 CDs (8 hrs). Each lesson contains an introductory conversation, and new vocabulary and structures. Learn the essentials - greetings, numbers, meals, shopping, directions, time, and more.